Back on my "Encyclopedia of Me" album. The letters were "S" and "Z". 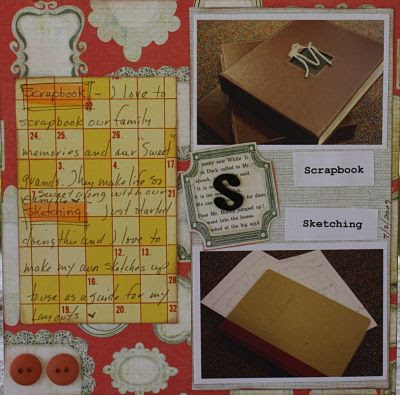 I chose scrapbook and sketching as my "s" words. I love to do both and hope to get better at both!! My "Z" words were zinc lids and zig zag. I love the old zinc lids especially on an old canning jar. Love using these to hold buttons, marbles, old thread spools and small sea shells. 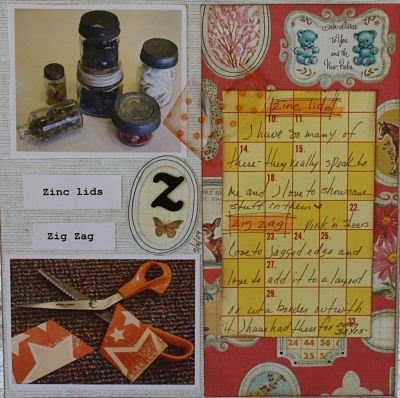 The word zig zag is finding its shape on my scrapbooking pages. So fun!! Thanks for stopping in today! Labels: Enc. of me "Z and S"